It’s Never Too Cold to Modify Your Mustang! For most of us, the weather has turned pretty hostile. 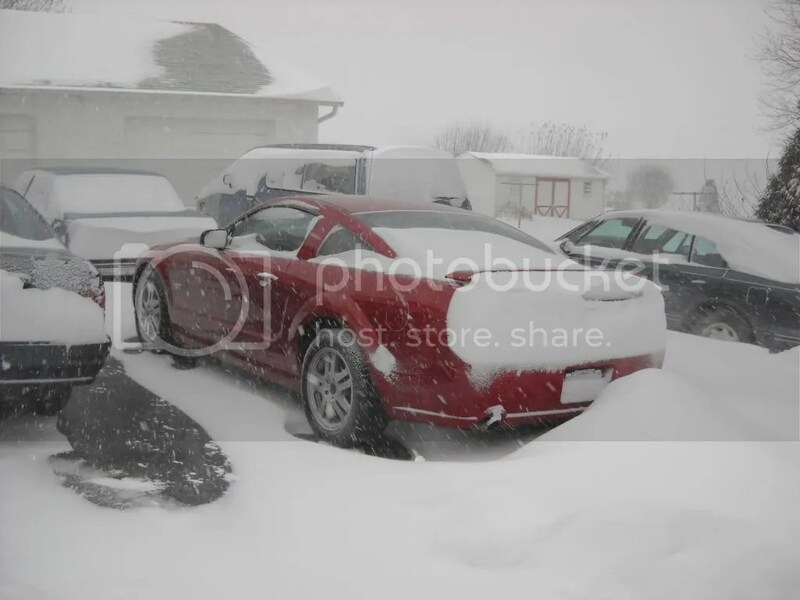 And while working on your Mustang in the middle of a snow storm may not be a great plan, the cold weather doesn’t mean that your ‘Stang has to stay penned up in its corral until spring. There are plenty of easy mods you can do in a few hours when the weather happens to give you a break. Whether you’re in California or New England, these tips for winter preparedness will serve you well. Check your tire pressure. The change in temperatures will affect your tires, and they need to be properly inflated in order to grip the road. Not sure what your tire gauge should read? 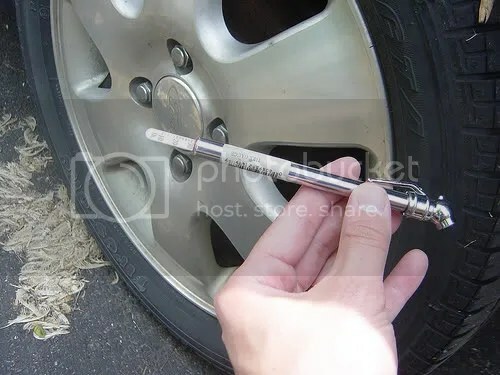 Check the side of the tire or the driver’s doorjamb for the recommended psi. While you’re at it, check your fluids. It sounds like a minor thing, but making sure that you have the correct amount of washer fluid (one that’s designed not to freeze in cold conditions or includes a deicing agent is ideal), coolant, etc. will not only help your ‘Stang cope with the cold weather, it’ll help prevent maintenance-related breakdowns. Wash your car, preferably about once a month. Instead of looking at all the road salt that’s crusted on your car and thinking ‘well, that’s gross!’, take it to your local car wash. If you’re doing it yourself, make sure you clean the undercarriage, too. It sees its share of salt and is just as vulnerable to rusting as the body. Consider a car cover if you’re not going to be driving your ‘Stang for a while. It will protect your investment from the snow, salt, slush, and environmental contaminants until you’re ready to hit the open road again. Garages? We Don’t Need No Stinkin’ Garages! If you happen to have your own garage to store your Mustang and work on it in (relative) warmth, there are a lot of options for winter-time mods. If you’re at the mercy of the weather, your options are a little more limited. A Cold Air Intake is a great solution. They’re quick to install, so you can put one in between snow storms. They’ll give you a nice performance boost, too. If you’re looking for the fastest of all modifications to install, you can always add a set of floor mats. They’re essential for the winter, when you’ll be tracking slush, mud, and salt into your car. They’ll also update your interior and add a little personal style to the mix. There are other modifications you can make during the cold weather, but there are a few things to keep in mind. Certain adhesives don’t work very well in low temperatures, so you might want to avoid things like scoops or body parts that are held on by 3M tape. If you think the weather’s warm enough, it still might be a good idea to let your Mustang and your parts sit in the sunshine for a while to warm up. When you’re looking for a winter modification, choose one that will have a short install time. That way, if you get interrupted or run into any issues, you’ll have plenty of time to go back and finish your install while the sun’s still up. Winter is a great time to concentrate on the inside of your Mustang. There are tons of ways to personalize your interior, from pedals to steering wheels. The best part about interior mods is that, well, you can do them inside. So you’re one of the lucky folks with a garage. Your options for modifying your Mustang through the winter are much less limited, but there are still a few things to keep in mind. First of all, consider the type of garage you’re working in. 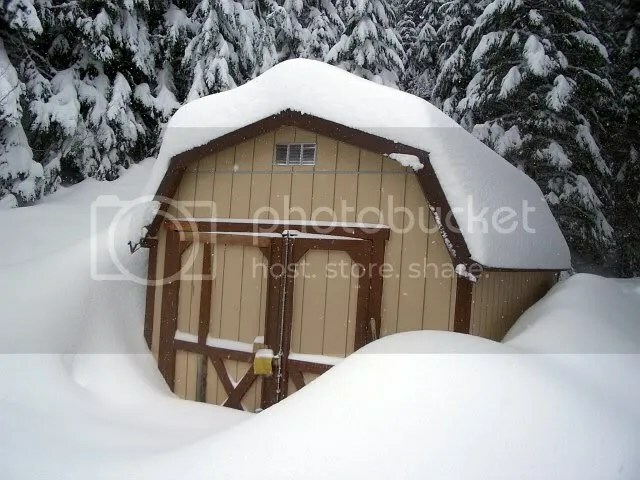 Everything with four walls, a ceiling, and enough room for a car has been called a garage at some point, but all these basic setups give you is protection from the weather. If you’re working in a garage like this, you might still want to avoid temperature-sensitive modifications, unless you’ve got a shop heater. If you’re using a shop heater, be very careful around it. Few things are sadder than the burned-up hull of a Mustang. The next thing to consider is the type of equipment you have on hand. If you have basic equipment but not a lift, this is a good time to consider a basic exhaust upgrade. Cat-back exhaust systems are a good winter mod, because they’re relatively easy, which means you’ll be spending less time on the cold floor. An axle-back system is also a great way to go for 05-09’s, especially if you’re looking to change your exhaust sound without having to install a whole new system. A V6 conversion kit is also a good choice, if you’re feeling more ambitious. While your Mustang is up in the air, you can upgrade your brakes (especially good for winter driving). When you’re working in a garage, your possibilities are endless. If all the cold weather’s got you down and you’re snowed in, take heart. There’s only three months left before the first day of spring. And that’s when you can open the gate and let your Mustang run free to show off all the great mods you made during those chilly winter months. Previous Entry What Do I Need to Lower My Mustang? Next Entry Which Engine Oil is Best for My Mustang? There seems to be a wide range in prices for cold air intakes. Could you explain why this is? Some are better than others. K&N’s produce an instant 10 hp or so on the 99-04’s, personally the cheap looking chrome tube one’s aren’t what I’d recommend. I feel sorry for Mustangs that have to be driven in the snow. I’m proud to have a garage baby that doesn’t have to go outside when it’s crappy out. i agree man, snow doesnt do anything to cars.. its the salt that you dont wash off. i baby mine, but it gets driven in the snow, then washed.. no big deal. Why drive a Stang in the snow and salt when you can drive a beater? Washing it won’t make it last longer than a Stang that stays inside in the crap. My 67, 97 and 02 all look new and never see any weather past Oct. I have a garage and i love it. though its more like a barn, it at least keeps the cold white stuff off the skin of my horse. many upgrades coming soon to the horse house. Yes the weather has put a stop to my mustanfication lol (mustang and modification) so I really havent bought from you guys, which tells me you guys at AM are hurting because people aint buying due to the cold weather. Still spring is around the corner, I hope it comes faster. Then Ill be buying for sure, nice article tho. haha. My favorite part is: “Garages, we don’t need no stinkin garages!” That Mustange heater is legit! How much is it going for?